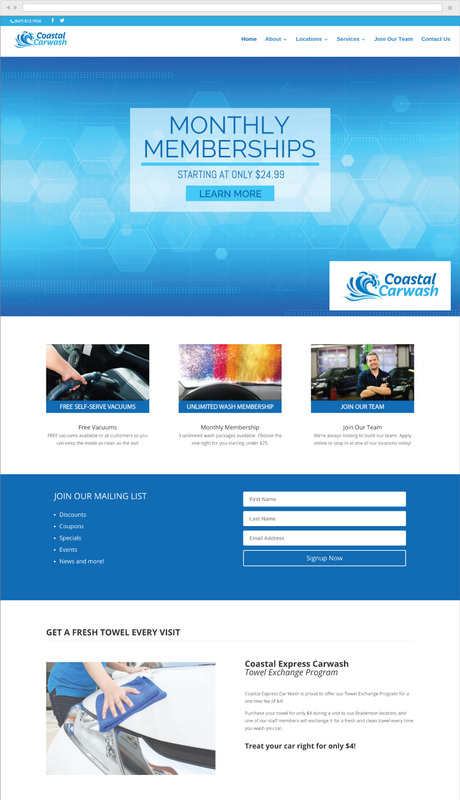 Coastal Express Carwash is a new carwash company based in Bradenton, FL. As they were a brand new company they needed everything. We worked through the logo design process to give them a great new clean, crisp and fun logo. We also designed and printed their business cards. We even setup their e-mail for them. During the web design process we were able to make recommendations, reword and rework content and copy as well as provide the graphic designs and photography that was needed to round out the site.